This blog does not normally run in English (Czenglish maybe). Nevertheless, I am deviating from the rule now because this article is part of a project for my Forest Ecosystems class and most people at UCLA haven’t learned Czech yet (I am sure that’s something they’ve always wanted to do). Since I know, my dear regular readers, that you all had to endure years of long boring English lessons in school (and I sympathize! ), you might as well consider this a refresher course. As my stay at UCLA is nearing close, I am glad that I can finally present here a relatively engaging illustration of what a team project in a UCLA class might also look like. 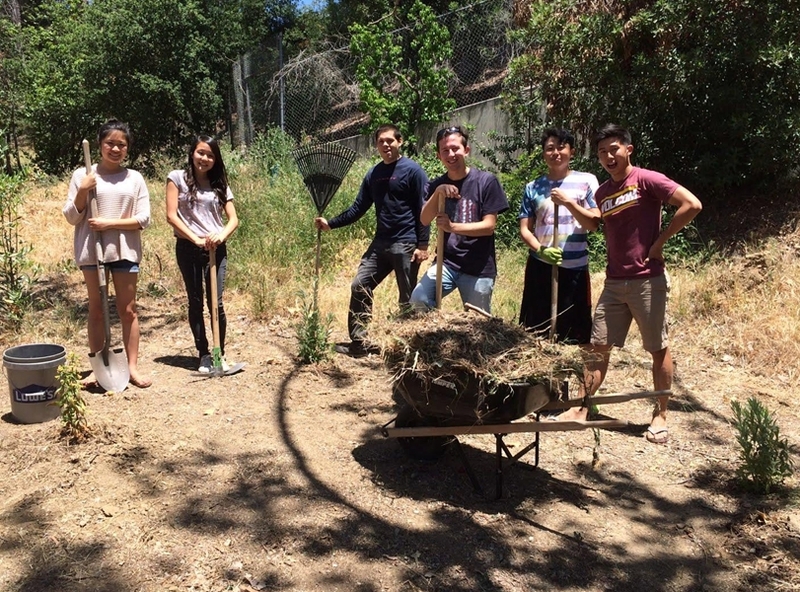 The students in the class were split into many small groups and given different tasks that would help restore an environmentally valuable site at UCLA. To document that we have actually done it, we were required to publish a blog post. So when this opportunity came up, I seized it to show the fruits of our labor to audiences over the ocean. UCLA campus is a piece of nature in the middle of a city, the paths on campus are fringed by trees, squirrels are running around… But many plants are actually not native to Southern California. They were brough in from many different parts of the world (e.g. 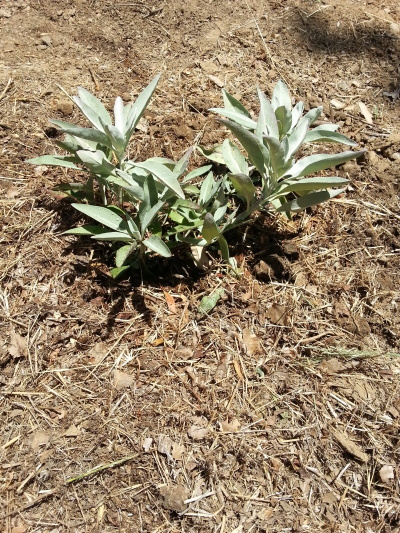 eucalyptus trees from Australia, palms from Mexico,…) because pretty much everything will grow here. 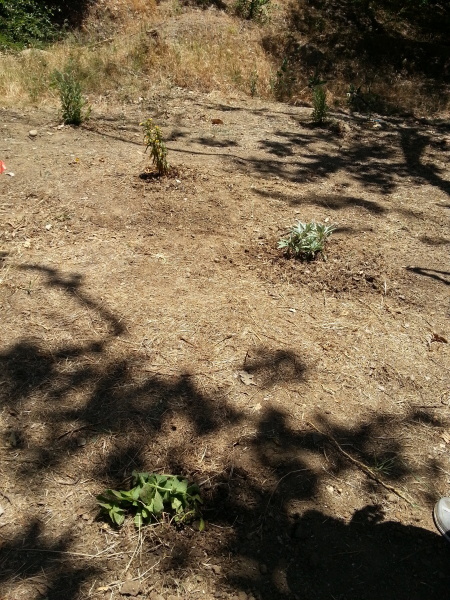 There is, however, one last patch of native vegetation remaing at UCLA. Unfortunately, Sage Hill is a place squeezed between the dorms and Sunset Boulevard and has barely made it to the 21st century. It could have been developed, but the Chancellor decided not to do so (for which we all thank him!). Still, it has been neglected and needs a lot a of work to weed the non-native plants and cover the old tracks of development. The place looks mostly nice, but a certain part of Sage Hill – the riparian area – actually looks like an old construction site. There are a few trees (sycamores) among mounds of dirt on compacted, littered soil that is partly covered by non-native weeds and partly just bare. According to the official website, Sage Hill contains the highest diversity of native flora and fauna on campus. And that’s worth saving, eh? 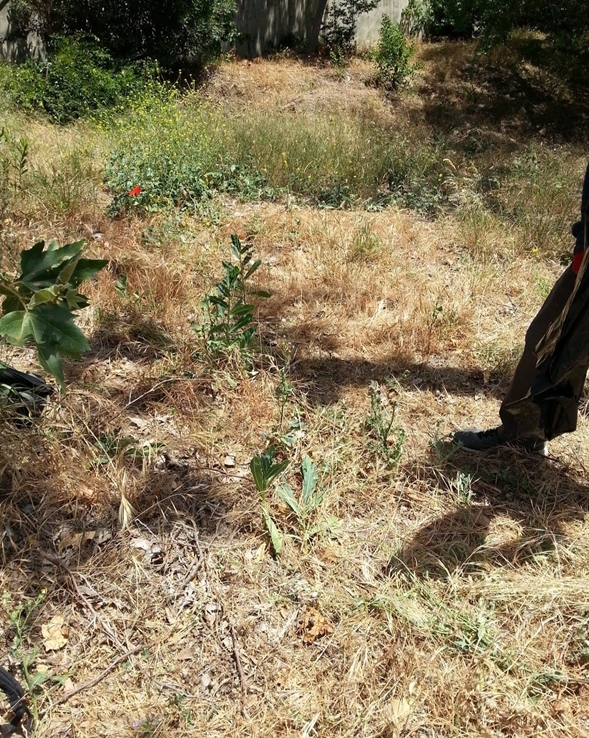 So as part of our class, our group was given the assignment to plant a few natives on a plot of land in this riparian area. At the end of the day, Sage Hill will hopefully have trails, signs with descriptions, benches, and native vegetation everywhere, so that us hardworking students seeking relaxation can hang out there. 1) We were assigned a 10m X 10m plot that was covered with weeds. 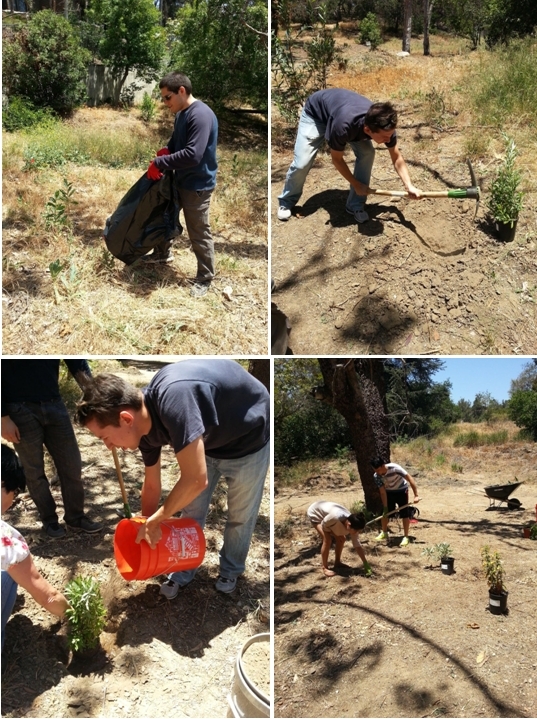 2) Non-native vegetation (mostly mustard plants and grasses) was removed and new soil brought in. 5) And then we were taking one picture after another. I hope we can come back to our plot 10years later and see how it has changed! That’s the plan! I am glad that I left behind something tangible that I can come back to.